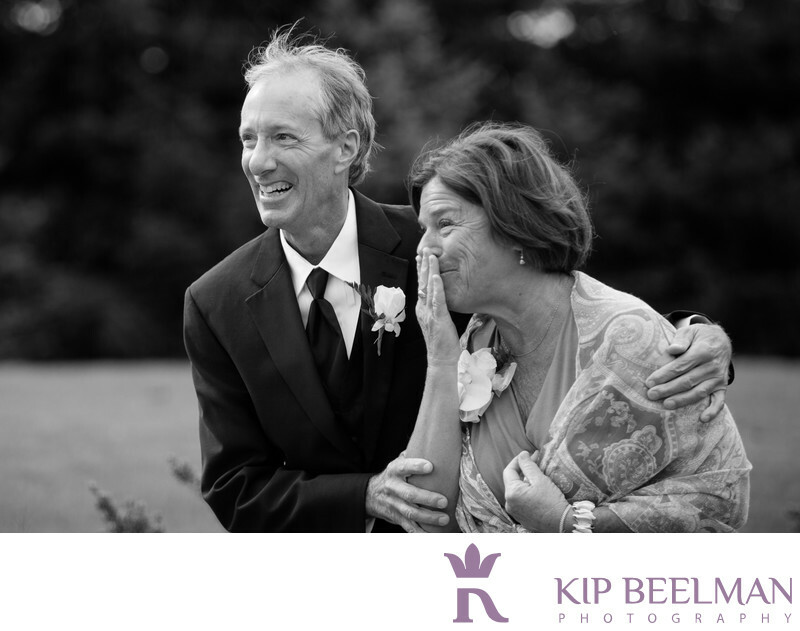 You can’t beat Lord Hill Farms wedding photography as the venue for amazing wedding portraits and images, and you really can’t beat the expressions on the faces of the groom’s mom and dad in this photograph. This moment captured both of their expressions just after the newly married couple had walked down the aisle during their recessional. Moments before, the couple was married in a gorgeous outdoor ceremony that took place under thick storm clouds that were building up against the Cascade Mountains. This image, then, shows the excitement before the storm, the strong emotions in the air and the charged atmosphere of the day. I think black and white was perfect for this moment and I really enjoy capturing close-up, touching moments that involve not just the bride and groom, but their families and friends – who help make their union and their day what it is – as well. Location: 12525 Old Snohomish Monroe Rd, Snohomish, WA 98290. Keywords: Farm Wedding (21), Lord Hill Farms (6), Snohomish (12).